We also look at the transformation Wikileaks brought to the idea of journalism across the world. Prabir Purkayastha of NewsClick talks about the implications of the arrest of Julian Assange on the freedom of expression and media freedom, as well as the transformation Wikileaks brought to the idea of journalism across the world. 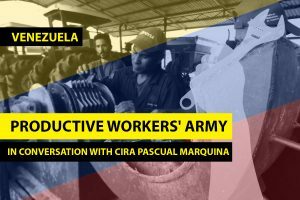 What is Venezuela’s Productive Workers’ Army? Hey Buddy!, I found this information for you: "The Arrest of Julian Assange Is an Attack on Press Freedom". Here is the website link: https://peoplesdispatch.org/2019/04/14/the-arrest-of-julian-assange-is-an-attack-on-press-freedom/. Thank you.